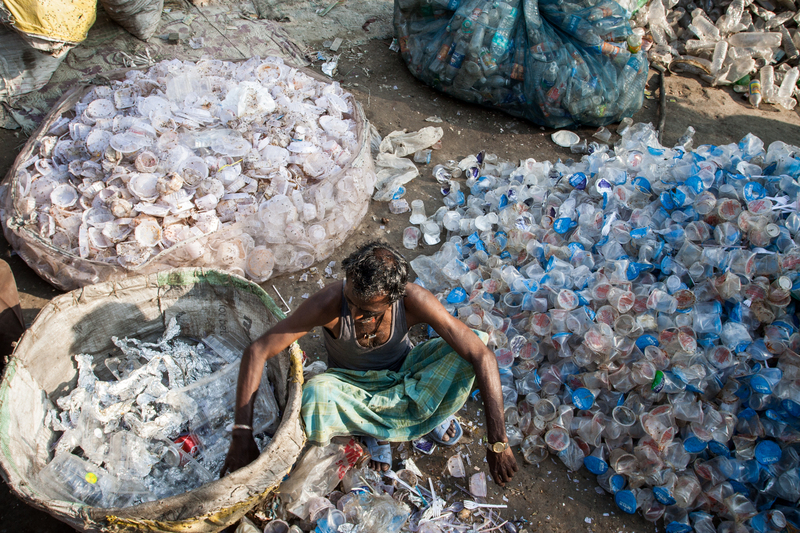 An informal sector waste worker picker sorting through different types of plastics. Photo by Enrico Fabian. Not for republication. A waste picker is almost done with the fine segregation of his collected items. Plastic is not only plastic and appears in different guises from soft to hard and from transparent to coloured. So before selling a certain kind of plastic to a waste trader it has to be sorted. He shares his waste storage place with other waste pickers from this community. This allows them to segregate the refuse of many days’ work in a very efficient way.